Uber is praying to whoever will listen to get its name out of this tale. Near the end of February, we learned of a tragic story in Kalamazoo, Mich., that posed some PR fail for Uber. You know, again. Now that Jason Dalton, 45, is being tried for shooting six people in between Uber fares, we discover that his motivation for murder could have been the actual Uber app itself. Dalton told police that when he opened the ride-sharing app, he “recognized the Uber symbol as being that of the Eastern Star” and that a “devil head” would pop up on his screen. He said that was “when all the problems started”. 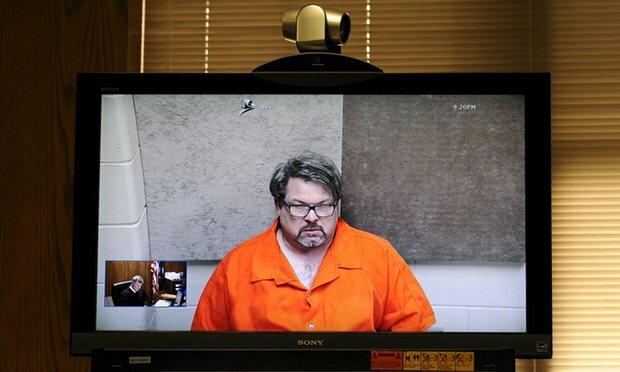 The Detroit Free Press tells us Dalton provided a series of interviews with police following his arrest for the shooting spree, in which he blamed the killings on the Uber app. Dalton suggested his iPhone “directed him where to go and when to shoot people.” Incidentally, he was prepared to engage a shootout with police; however, the app directed him not to do that. He told investigators he “doesn’t want to come across as a crazy person,” and added he was sad for the people who were killed as well as for his family members, who “are going to have to hear all of this,” according to the report. Maybe too late for that one, spawn of Satan, but thanks for the warning.